Holthausen Piezoelektronik GmbH founded in 1965 from Egon Holthausen and was adopted in 1995 from his son Michael Holthausen under the new name holthausen elektronik GmbH. 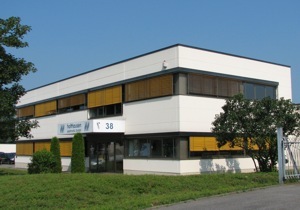 From the manufacture of piezo-electronic components like sound pickups and microphones for commercial and medical applications, the manufacture of acoustic couplers, modems and interface adapters through to the present-day development and production of vibration sensors, the company has evolved continuously into a full-service provider for electronic assemblies and systems. Apart from product development, contract production of assemblies and instrument installation, holthausen also provides mechanical competence in plastic injection molding for electronics cabinet making as well as EMC services. This portfolio is supplemented by in-house developed products that have been successfully launched in the market. If you want detailed information or competent consulting, we are always at your service. Thanks to our flexible structure, we can jointly find the correct solution.